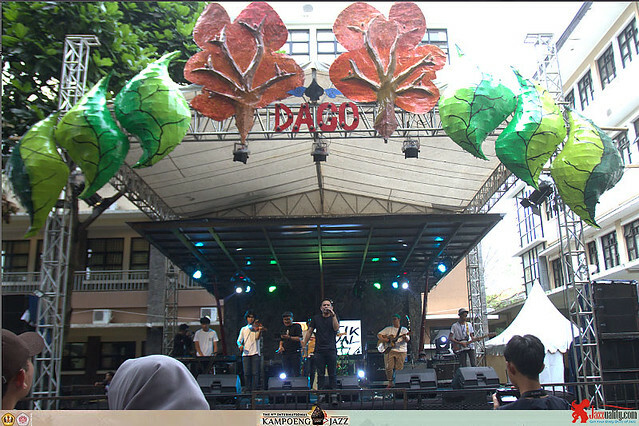 The Kampoeng Jazz began in 2008 as a product made by the Executive Student Board (BEM) of the Law Faculty of Padjadjaran University which gave Bandung a chance to have its first annual jazz festival. 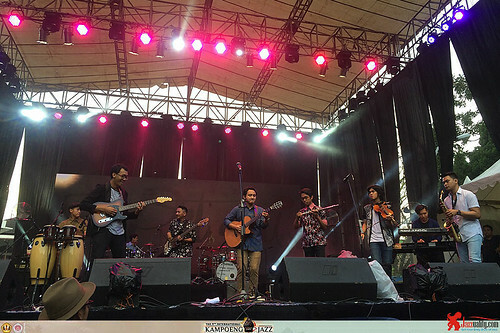 While many are struggling to keep their event alive – some promising ones have even gone -, Kampoeng Jazz shows its strength by not just keeping its existance but growing every year to be an international festival. On 29 April 2017 this event reached the 9th edition. 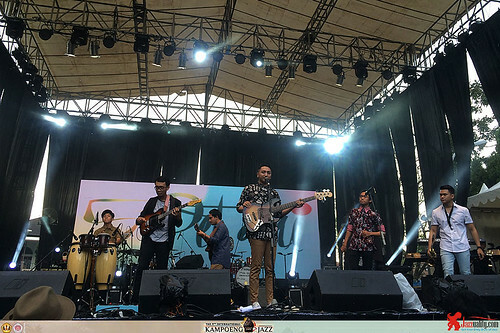 The 9th International Kampoeng Jazz featured so many big names from our music scene today, international stars and great local bands. Like before, this festival started early in the afternoon and went all the way until close to midnight. It was a big jazz-based fest with so many attendance especially at night time. All were spoiled by various artists, lots of food booth, and bazaar. The Lounge stage started first in the early afternoon, presenting FLO. 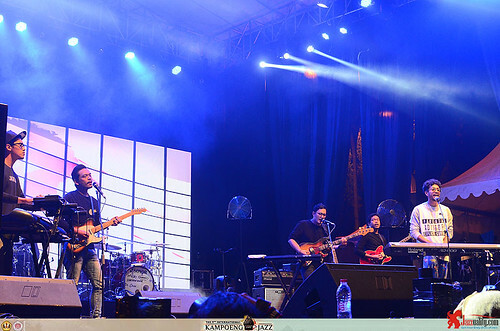 FLO stands for Full Lights Out, consisting of Nicholas Benito Siahaan (vocal), Felix Jose Pardede (guitar), Imanuel Boyke Nainggolan (bass), Rakenzon Adhi Sentosa (keyboard) and Crist Anggi Tarigan (drum). Established in 2015, FLO was built upon variety of backgrounds from jazz, pop, alternative and electronic music which made their music sounds rich in variety. One single entitled “Queen” is available on more than 20 online stores. A very strong song which has everything needed to succeed especially in reaching the heart of young listeners. 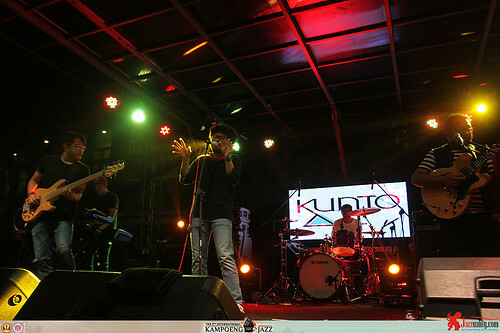 This band is no stranger to us, we feel happy to meet and enjoy their performance at this year’s Kampoeng Jazz. 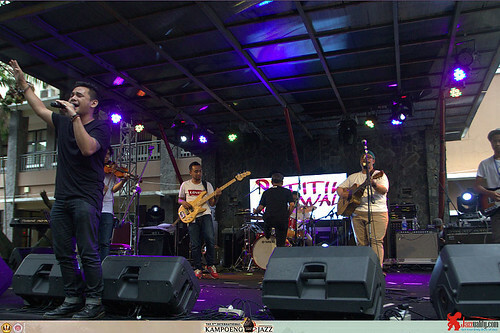 This event marked the return of Titik Awal. This band is definitely not a new band since they were born in 2008 during the personnels’ high school years. If some of you feel like never heard of it, it’s because they were on hiatus for 2 years. Quite unfortunate, since the band actually was on the move back then. 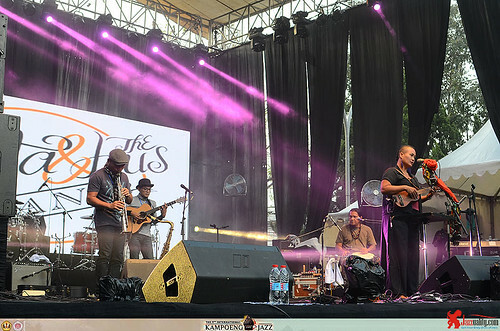 They have participated in many prestigious stages including the Java Jazz Festival and flew even further to land on island of Borneo. Anyway, what’s important is they are back. Normally it isn’t easy for a band to comeback after being gone for that long, but Titik Awal will work hard to cope with the situation. Founders Narendradipa Soemantri on drums, Boby Suryo Alam on bass, Gama Ramadhani on guitar, and Melvhin Samuel Harapenta Sitepu on vocal are looking forward to claim the exact spot they have reached and climb higher from there. Their modern pop jazz with a little punk-titude is still as good as before. Welcome back, Titik Awal, good to see you back! Since this event is made by the Law Faculty students, it shouldn’t be difficult to find some who could play jazz among them. And, it would be even better if they join the lineup as the host. Yes, they thought about that and did exactly that. Like last year, the selection of lecturers and students of the Faculty of Law, Universitas Padjadjaran joined the fun. This band is called The Bandos. The project like this is always interesting. They may have the teacher-student relationship in class, but as a band they are team mates. Well known songs from the classic to today’s top 40 sent safe and sound from their stage. 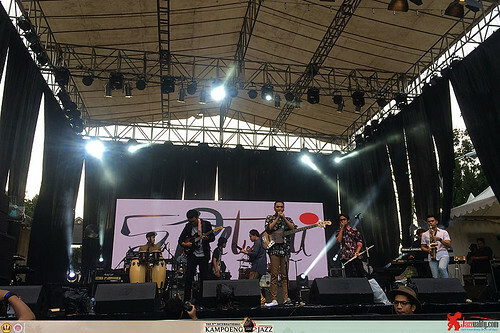 The main stage was opened by 5Petani around 4:00 pm. This very interesting band of friends always reminds us of the fusion band from the past, Karimata. Born from frequent meeting and jam at the ButterfieldJazz Society, they grew fast. Not long after they were born they already got original songs and found the solid grip in cooking up their concept- which wasn’t easy since the band has many players. But they made it great, finding the exact harmony needed along with chants and joyful stage act just like a bunch of farmers having a harvest party. Performing at the Java Jazz Festival became one of their greatest achievements, and hey, they just released their debut album titled “Sawah Impian”, consisting of all brilliant original songs which they happily introduced to the audience. The last song “Zefania” became an epic ending. 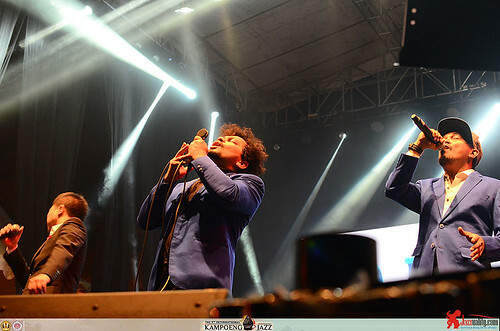 After the Java Jazz Festival, now they landed on Kampoeng Jazz. 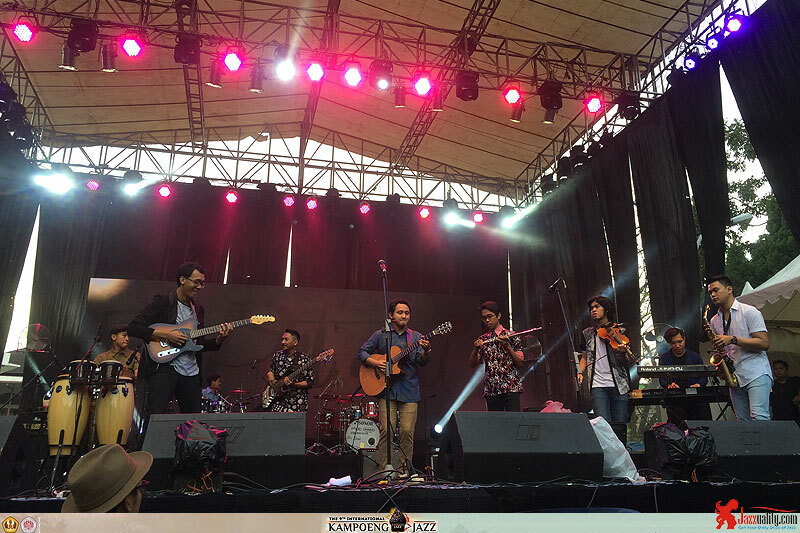 This time Petani appeared in .. format with Gershon Valdo Siahaan (keyboard) Frank Navayo Pattinasarany (guitar), Fauzan Rijal (bass), Yoga Wardana Kusumah (acoustic guitar), Raka Rizkyandi (drum), Hilmi Ridha (flute and bangsing), Yudha Rahadyan (saxophone), Praga Sabrani Tony (violin) and Rezki Delian Kautsar (percussion). A sharp, clean execution of jazz fusion that has some traditional music vibes resonated loud from the stage. Fusion shone bright on their show in happy act. As the name ‘5 Farmers’ suggests, they were like making a feast after a successful harvest. The farmers did it again. Everyone watching them should feel cheered. No doubt about it. 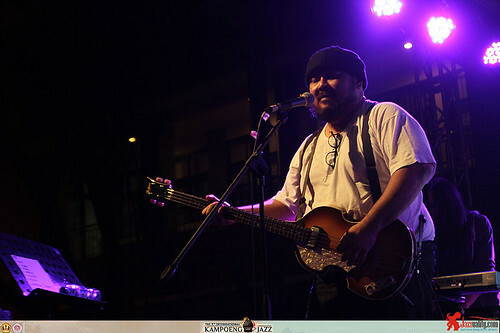 On the lounge stage, a good friend of us, Albert Shadrach Dragtan got his shot this year. He might have a rocker look with the tattoos and all, but this man actually is a dedicated jazz drummer. 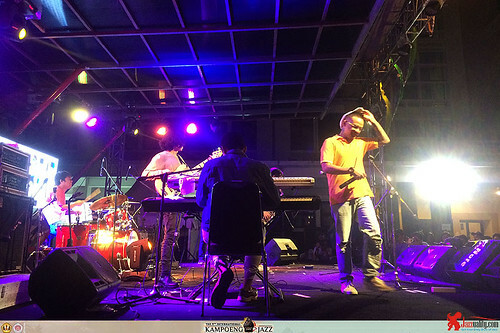 He has jammed with who’s who in jazz scene suchas Maurice Brown, Tony Monaco, Joe Rosenberg, Indra Lesmana, the late Riza Arshad, Aksan Sjuman, Professor Tjut Nyak Deviana Daudsyah, Indro Hardjodikoro among others. From more than 6 years ago we have noticed his artistry in painting jazz over many jazz clubs which is still going until now. He has performed a couple of times too in our own regular jazz community event. 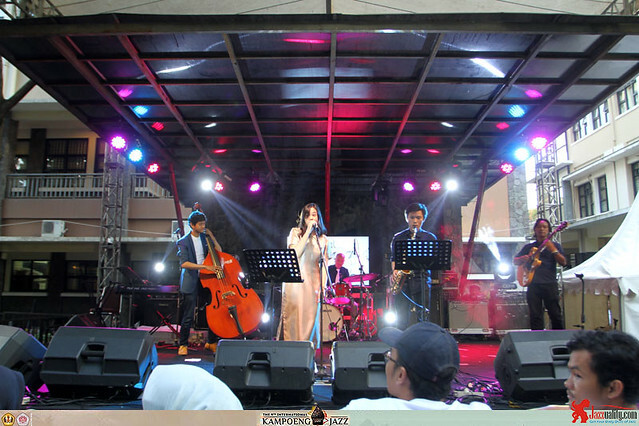 For this event he appeared under Albert Dragtan Quintet with Vica (vocal), Chris (guitar), Gafie (saxophone) and Ilham Septia (contra bass). Beautiful exploration of well known jazz standards like “Someday My Prince Will Come” from Walt Disney’s Snow White, bossa tune “Batida Diferente”, the medley of “Tenor Madness” and “Billie’s Bounce” and one original song, “Seperti Kata Ibuku” (Like My Mom Said) were sent chilled to the audience. Back to the main stage we got Bonita and the Hus Band. This famous acoustic-based indie band has almost the same age of this festival. 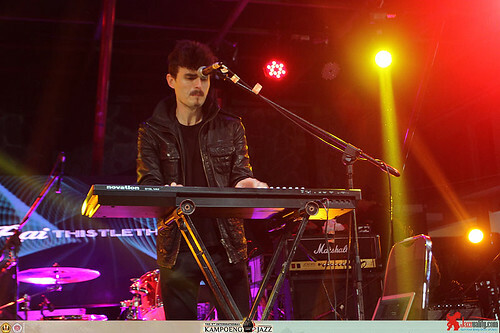 This band which carries “Intense, fun and joy” within their music serves feel good music in rainbow-like colors ranging from pop, folk, soul and jazz in loose and connected acoustic approach. Bonita, Petrus Briyanto Adi, Jimmy Tobing, and Bharata Eli Gulö today stands in the higher ground, solid as a rock. They just did their 8th Anniversary Concert two weeks ago at Erasmus Huis Jakarta along with launching their second album “Rumah”. Other than that, they have been busy with their Belong to Each Other tour, visiting Bali (20 April), Lombok (22 April) and aim to stream along Java before landing in many parts of North Sumatra. This acoustic quartet is serious in carrying their motto. 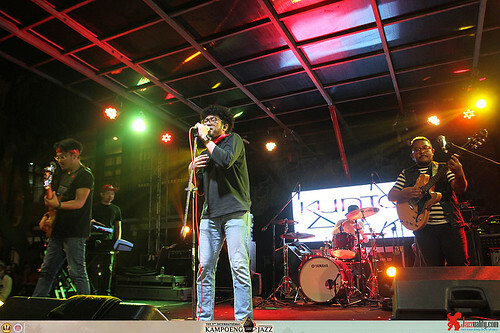 Bonita and the Hus Band knows how to bridge the stage to the crowds by having such interactive and expressive show. We have been covering many of their appearance on jazz stages since 2010, they have never failed to amuse us. 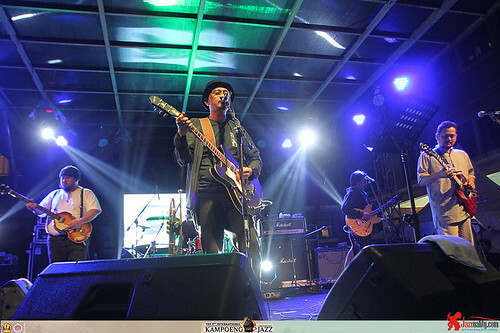 Indeed, Bonita and the Hus Band is a perfect ambassador of the great indie scene. Kolaborasi Budaya Sunda gave something different. This Sundanese culture collaboration unit combined traditional music, dance and even painting into their jazz palette. 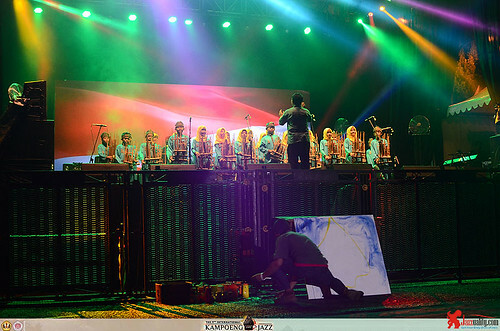 What’s cool is that they involved tens of children playing jazz with angklung. Something like this is important in jazz festival in order to keep the traditional culture and heritage alive in the modern days. 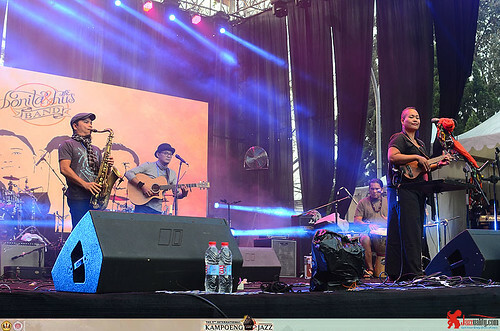 As the Kolaborasi Budaya Sunda presented some beautiful Sundanese music paintings on the main stage, a different jazz texture was running on the lounge stage. The combination of jazz and hip hop has happened at least since the late 80’s. There were time when it became quite infectious, even jazz icons like Miles Davis, Lonnie Liston Smith, Branford Marsalis, Ronny Jordan, Donald Byrd and Roy Ayers had their moment in it. Today both hip hop and jazz still alive and still occassionally cross path. Today, only a few of bands have this within their concept. 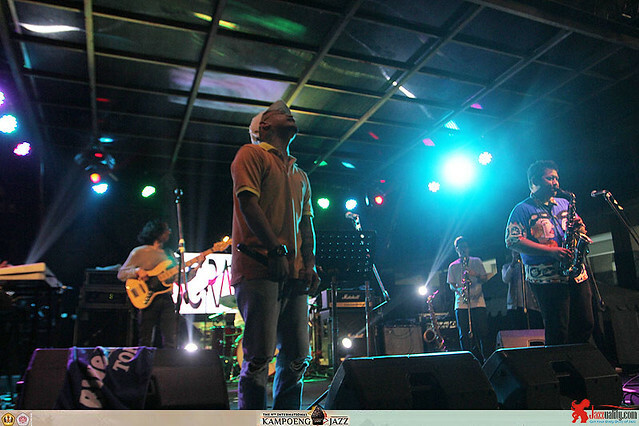 Here in Kampoeng Jazz we saw a considerably new band in quartet formation from Bogor who digs this territory. The name is Scrapbeat, a shortened from Sophisticatedly Combine Rap and Bebop Attitude. The band is built upon four players: Sande (piano/synth/vocal), Devha (bass), Umay (saxophone), Goldy (drums). Although they are still some months’ old, they move really fast. They have launched the debut album consisting of 8 original songs, where they collaborated with some rappers from USA. The single “A Day for A Friend” is available in many digital stores since March 2017. Amazing exploration of hip-bop or jazz-hop quickly gained tremendous response from the fest goers. 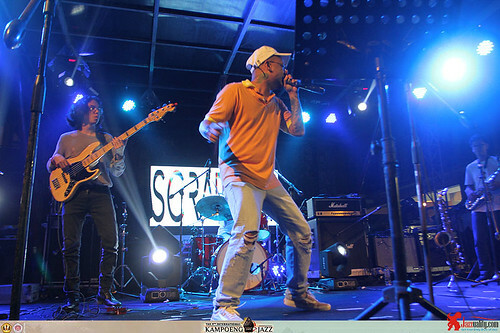 For this event they featured horn section and an energetic rapper who has been familiar with jazz for so long (including a remarkable contribution in LLW’s album), Kyriz Boogiemen. From what we see, Scrapbeat should be mentioned as one of the show-stealers for this year. We don’t get to see many bands who combine live jazz band with hip hop and rapping. So when we see one, we just feel happy that the Indonesian jazz, hip hop and music scene in general become richer in variety. We remember once Coolio said to us: “Mixing jazz into the hip hop would seal it into whole”, and “For me, jazz is like the air, it’s so important that you can’t breath without it.” Well, it’s all here. The lounge stage became more and more happening. Performing next was Kunto Aji. Talking about this man, Kunto Aji Wibisono, means talking about an idol that got his popularity through talent search event on television, Indonesian Idol in 2008. Afterwards, he appeared on his first movie titled “Senggol Bacok” in 2010. 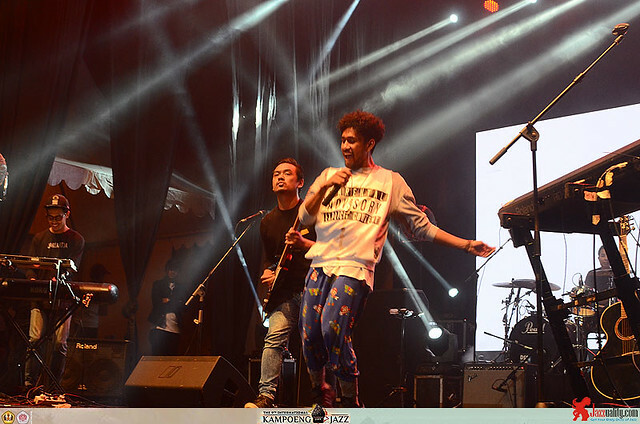 Four years later, he released hie debut single called “Terlalu Lama Sendiri” in 2014 which shortly after became a famous song throughout Indonesia. In 2015, his first album entitled “Generation Y” was released. 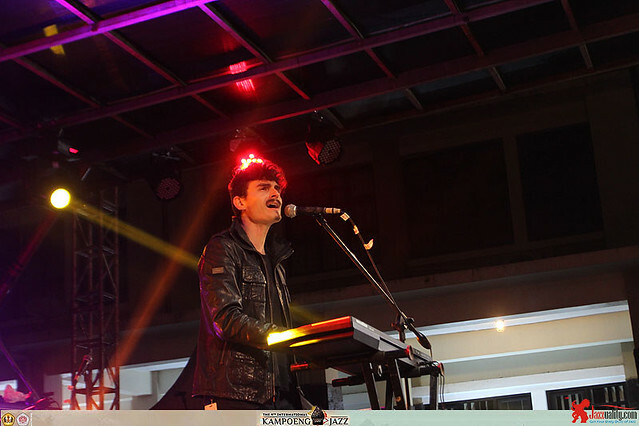 During his musical journey, he had received several awards, such as from Indonesian Choice Awards 2015 as Breakthrough Artist of The Year, from Editors Choice Awards 2015 as Rookie Artist of The Years, from APM 2015 he won two awards as Best Indonesian Song and Best Newcomer Male Artist. Now, he is preparing his upcoming album that he will give different touch of nuance in his new album, a more personal touch. On May, 2017 he will collaborate with Eva Celia and Jordy in a concert called Intimate Tour, 3 Cerita 1 Ruang. The lounge area got over populated with crowds. Kunto Aji sang his hits like “Terlalu Lama Sendiri”, “Ekspektasi”, “Amatir” and also the song he just released in video clip less than a day earlier, “Mercusuar”. What’s cool is that he managed to bring the crowds to sing along with him in almost each song. Cool show. 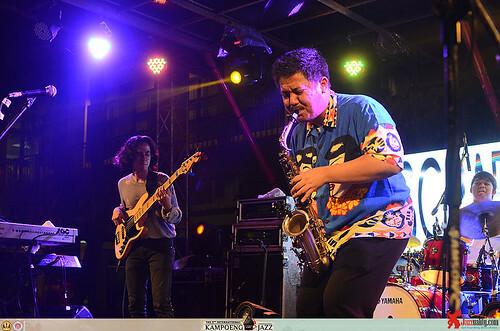 We have seen him gracing several jazz festivals from Bekasi Jazz Festival, JGTC, Indonesian Jazz Festival to Java Jazz Festival, and now here he landed on the Kampoeng Jazz stage. Famous song, his hits, cool performance, all create enough blast to pull him even higher on the most demanded artists for any event. 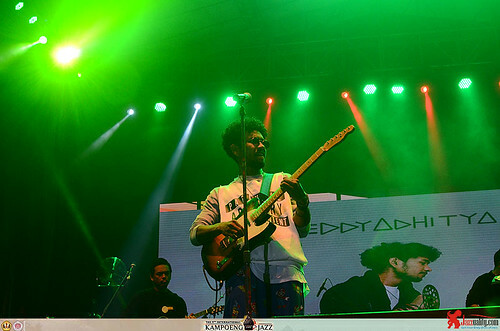 Around the same time as Kunto Aji, his buddy Teddy Adhitya surfed on the other stage. 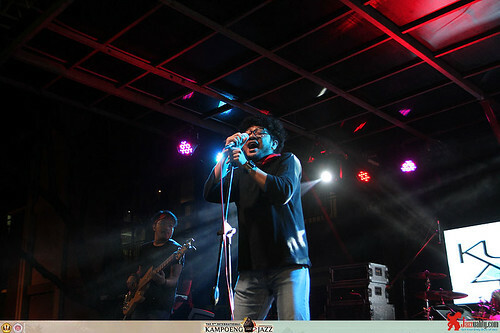 Starting as a drummer when he was a kid, Teddy Adhitya found a comfort as a singer by replacing his band mate and became a vocalist. He kept improving his singing skill and published his singing ability via YouTube and Soundcloud. 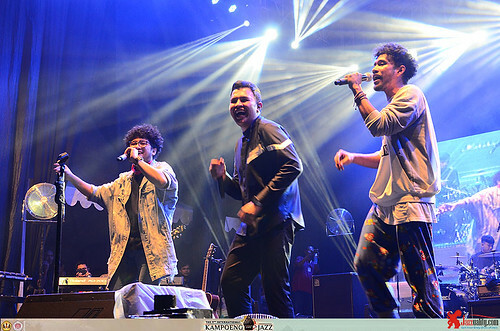 In 2010, he formed a vocal group with Kunto Aji, Adera and Beboy called BoyzIIBoys. They got a lot of public attention since then. 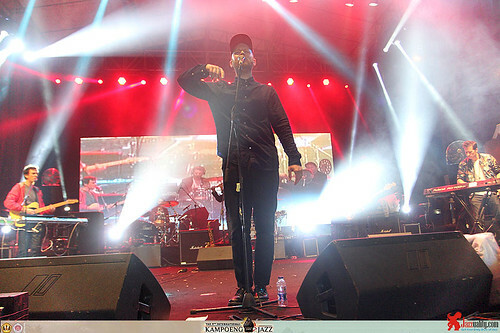 Continuing his musical journey, he released a song titled “Satu Senyuman” along with Coboy Junior in 2013 and it brought them to a music label called Seven Music. 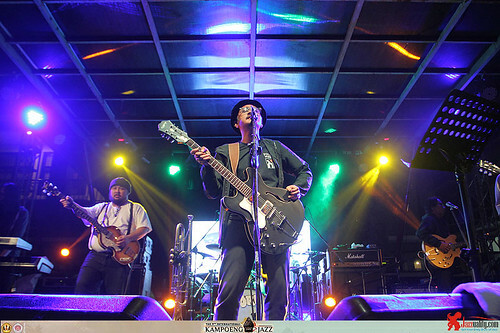 Many well known musicians had been collaborated with him, some of them were Barry Likumahua, Kyriz Boogieman, Endah N Resha. Together with a band called Blotymama, he released a funk/R&B album in 2015. 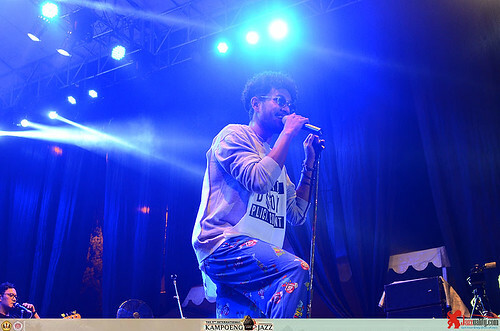 One year later, he began to work independently and produced a single titled “In Your Wonderland”, afterwards, “Let Me” was released as the second single. Finally in 2017, he just released an album entitled “Nothing is Real” included those two singles. He sang his songs from his debut album “Nothing is Real”, including his famous singles “In Your Wonderland” and “Let Me”. Everyone who are into Soul and R&B should love his show. It was loveable and felt really good. 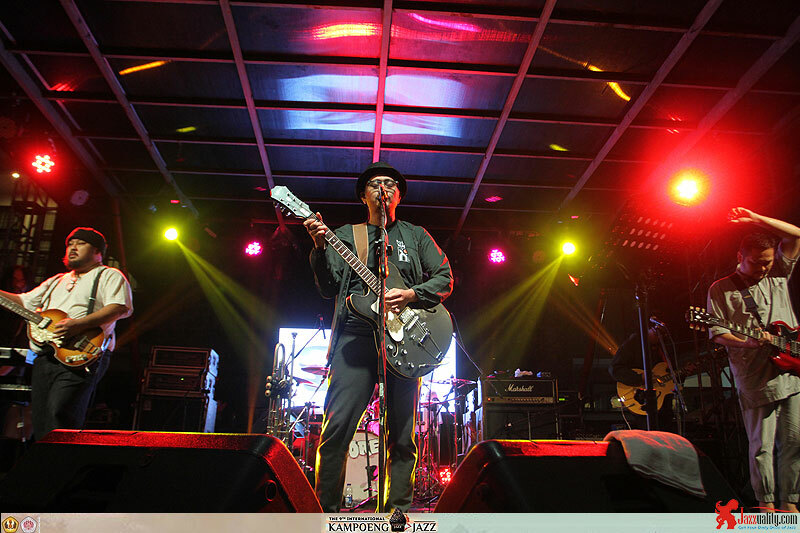 Kampoeng Jazz 2017 stands as an important opportunity that gives him more attention from Indonesian music lovers especially those who live in Bandung. 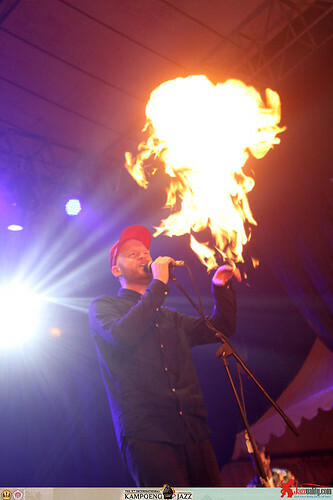 Just around a week earlier, Kampoeng Jazz made a big announcement by having a new international artist. It’s Rai Thistlethwayte. 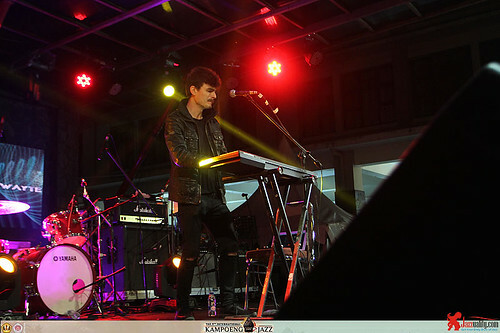 He is the lead singer and songwriter of Thristy Merc, an Australian pop rock band with many hits. Interestingly, Rai also pursues his solo career since 8 years ago, using ‘Sun Rai‘ as his artist name. True, he plays pop and rock, but Rai also has a strong jazz passion which has been expressed in numerous jazz combos other than within his solo career too, which has brought him to land on many jazz festivals and other events around the world. He sings, plays piano and guitar, he can play synthesizer and keyboards while singing simultaneously which made him an accomplished cross-genre artist and an interesting performer. It’s also important to mention that his single, “San Fransisco Street” reached over 1 million listeners on Spotify. Performing all alone, Rai presented his jazz side in a captivating performance. We love his song “Rose” which is poetic, melancholy but not too mellow. This man is unique and very gifted. A great catch taken by the Kampoeng Jazz. Time to shout out to one of Indonesian stellar singers, Tulus! As we know, his third album titled “Monokrom” was released on August 3rd, 2016 independently under Tulus Company which contains ten songs and a single called “Pamit” became the first official music video. This album is his expression of gratitude to all people who always support his musical journey. Five songs of the album was recorded in Prague, Czech Republic with a beautiful collaboration with The City of Prague Philharmonic Orchestra, one of them is a song called “Ruang Sendiri”. In the same year, Rolling Stone Indonesia magazine declared the Monokrom album as the best music album 2016. He also received an award for Best Pop Male Solo Artist Category at AMI Awards 2016. Then, many great opportunities returned. 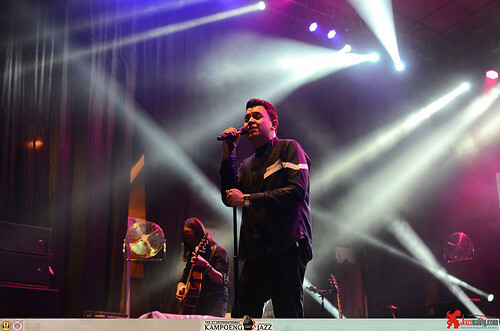 Tulus performed at the inaugural mini concert in San Francisco, USA and he was invited by UNESCO Music City of Hamamatsu Executive Committee to perform at World Music Festival 2016 in Hamamtsu, Japan. 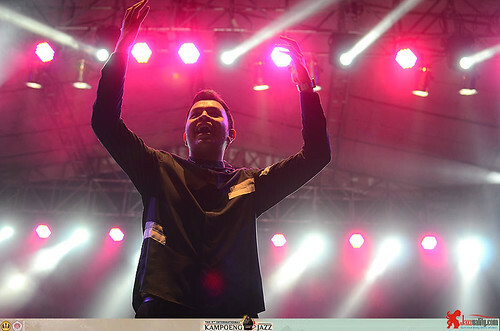 This year, Tulus got chance to perform at Asia Influence 2017 in Malaysia and soon he will get another achievement from Indonesia Kids’ Choice Awards 2017 as being nominated in Favorite Singer Category, he must compete with Afgan, Agnez Monica, Noah and Raisa. A tremendous achievement from a cool man with satin smooth but thick five-star voice. As predicted, the amount of audience was simply unbelievable. 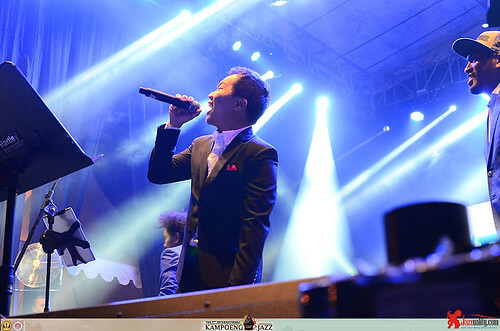 Tulus started with “Manusia Kuat”, one of his hits from the third album followed by “Gajah” and “Monokrom”. After “Jangan Cintai Aku Apa Adanya”, Tulus gave a surprise by inviting Kunto Aji and Teddy Adhitya who just wrapped their shows to join him on stage. Together they sang “Ruang Sendiri”. After this pleasant surprise, he still carried on with “Teman Hidup”, “Sewindu”, “1000 Tahun Lamanya” and reached the end with the song his fans probably wanted to hear the most, “Pamit”. 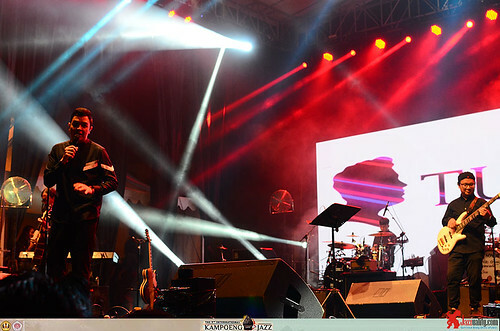 Tulus can always stand as a straight proof of a fact that one can achieve huge success by starting from (jazz) communities, as well as a perfect example of how to utilize every gift one possesses to go high. We knew him as a talented singer who hang around often in jazz community, now he seats nicely on the top. We hope to see him stay right there for many more years and continue making achievements. Back on the lounge, we got an iconic indie band, SORE. This band has such distinctive indie music rooted in retro scene but served to suit the modern. The haunting eclectic melodies, poetic lyrics, unique titles, all created such sound invention that opens up a very different atmosphere ; the things that makes them an icon. The latest formation of SORE consists of Ade Paloh, Awan Garnida, Bemby Gusti and Reza Dwi Putranto. 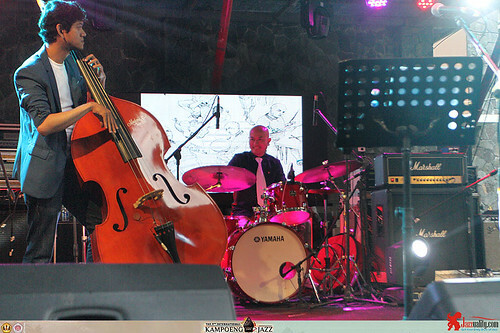 Although they don’t play pure jazz, you can find them easily in so many jazz events and festivals. That makes sense since jazz can be traced in many works, including or perhaps especially, their triumphant album Centralismo which gained praises from inside and outside the nation. 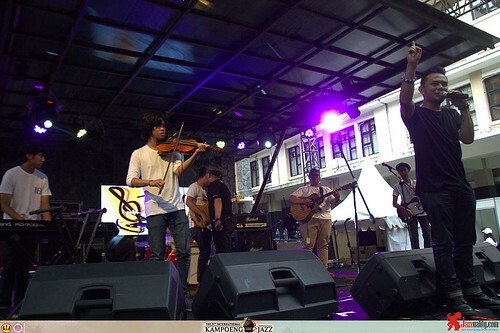 Kampoeng Jazz is not a new, strange ground for them since they have been here a couple of times. Having said that, their appearance always offer something fresh. How could a band invent such music where retro-pop, jazz, rock, blues with chamber pop licks create a new hybrid? For 1,5 decades they never loose the grip, no matter how hard the storm hit them. From Centralismo to Ports of Lima, from Sombreros Kiddos to Los Skut Leboys, from full album to EP, to compilation to movie soundtracks, from the haunting obscura Indonesiana sound to soothing eclectic sound, they are still at it. We found the evidence right here. Still haunting, still rich in metaphores, still kicking, still very ‘sorealist’. Simply a band with an antique soul. Two more shows left. 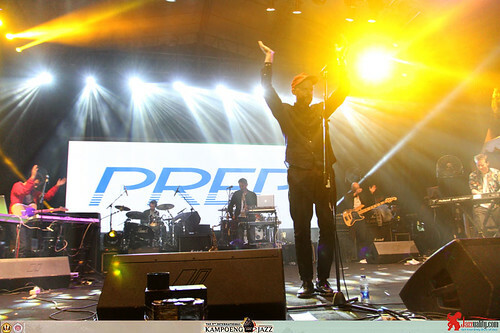 First is a four-piece indie band from London, UK, PREP. This band has the concept of delivering the combination of electronic funk , R&B and jazz through sharp drum punches, vibrant sounds from the keyboards and vigorous horn lines. If you wonder where they got it from, you should know that the band members actually have such colorful backgrounds, from hip hop producer, classical composer, house DJ and singer-songwriter who has worked with the likes of Drake, Kwabs, Foxes, Raleigh Ritchie and Klangkarussel. As they are currently on the Asia tour, Prep landed first right here before continuing the tour to Johor Bahru, Malaysia the next day and Bangkok on May 2nd. Their music is interesting since they capture the ingredients of music from the 70’s funk era, 80’s new wave stiched in jazz and R&B. Listening and watching them in this fest, we could see why they receive such success on Soundcloud and Spotify with their songs “Cheapest Flight” and “Sunburnt Through the Glass”. Realizing how mysterious this band is (not much information about them out there and photo is even rarer, we are happy to be able to catch their performance. 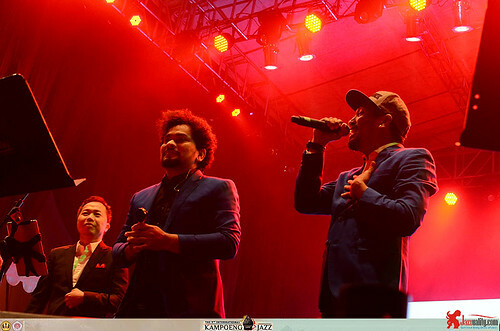 The last drop came from three Indonesian great stars, i.e, Tompi, Glenn Fredly and Sandhy Sondoro in one group, called Trio Lestari. They hit the stage as always. 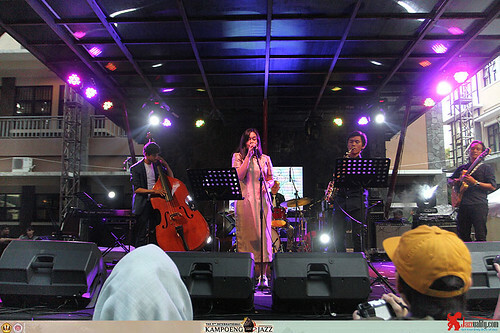 Back then, they made first appearance on stage as a trio in 2011 and finally they officially announced themselves as Trio Lestari in 2013 bringing jazzy color through their music. 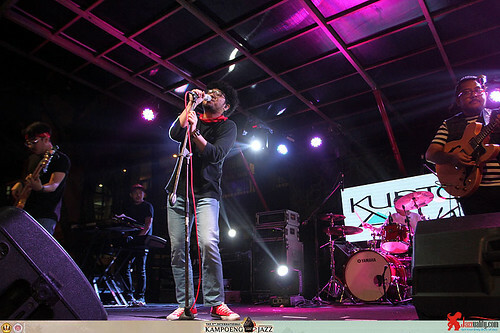 “Gelora Cintaku” is their first single released in 2014 and in the next year in 2015 they released their first album, entitled “Wangi” which contains eleven songs and they collaborated with KFC to sell this album all over Indonesia. AMI Awards 2015 gave them big appreciation, because they received three awards from three categories: Best Vocal Group/Duo/Soul/R&B, Best Soul/R&&B Album and Best Production of Vocal Group. One thing should be noted about them is, they usually speak out about current social issues through their chill out styles and fun talk while performing on stage. The fans must be wait for some surprises from them since their last album was released two years ago. 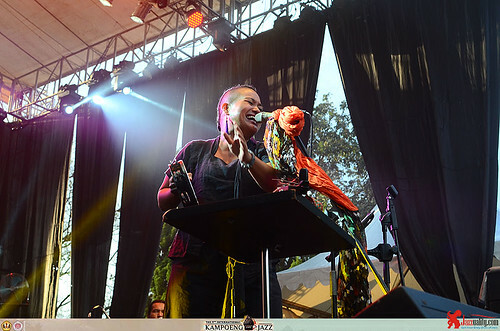 This year Trio Lestari made a huge return in Kampoeng Jazz. As before, they managed to keep so many audience to stay late just to watch them, and make sure to make it worth. 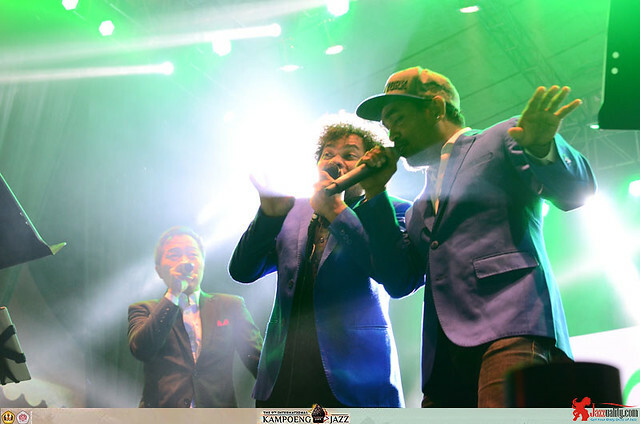 As usual, each of these gentlemen sang their biggest hits and made the crowds went wilder when they were united as one. With Trio Lestari, the 9th International Kampoeng Jazz reached the end. Interesting lineup where many big stars enlivened the event with their distinctive crafts. For almost 10 hours everyone could enjoy the performances divided in two stages. In between the show, there were more than enough food and beverages to choose. Overall we heard the voice of satisfaction from people passing by.The number of attendance can become a solid proof too of their succcess. Thousands of people gathered in one venue, enjoying each and every performance divided on two stages are just wonderful to see. 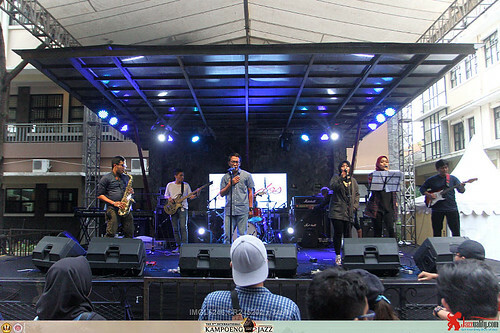 With this huge success, the expectation will grow bigger for the next Kampoeng Jazz. Hopefully they know what to do in order to keep this even running and growing for many years to come. 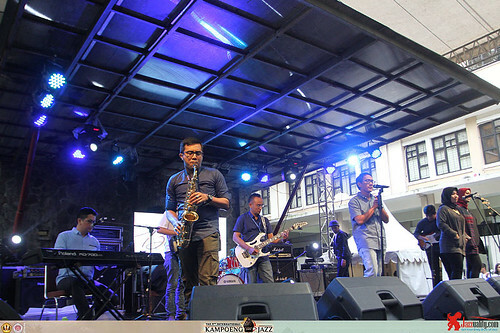 Thanks to Kampoeng Jazz, Bandung can be proud of having a solid annual jazz festival. Keep it up, we look forward to see you again next year! Photographer: Sandy Indrawan and Rian Pandu Wijaya .